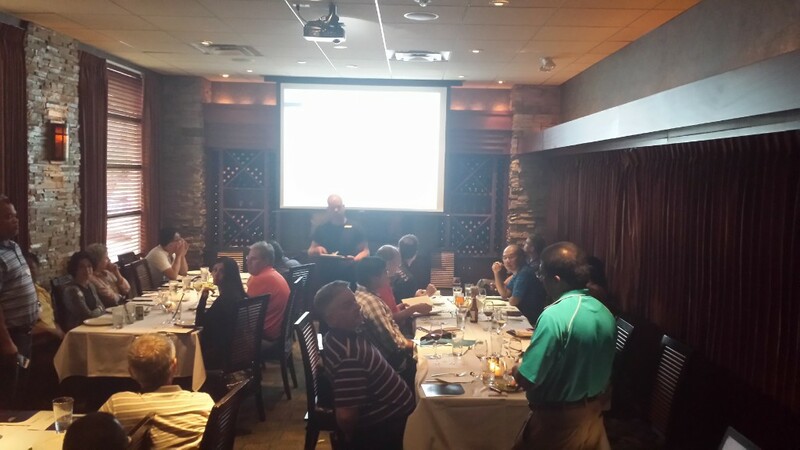 Chicago Oracle Users Group Meeting July 23rd 2015 – Recap - "Hey Alfredo..."
We had another great user group meeting this past Thursday! We had two excellent presentations by two very well known speakers! Our 1st presentation was by Oracle Ace, Biju Thomas. He did a great job going over a lot of cool new features available in 12c especially for those of us that are still 11g DBAs. Our 2nd presentation was by Oracle Ace Director, Jim Czuprynski. He provided a great presentation on the JSON features available in the Oracle Database 12.1.0.2. In his presentation he mentioned a really cool data mocking site called Mockaroo. I’ll have to keep that in mind for future data mocking needs. At this meeting we introduced a new concept called “Show and Tell”. What is the COUG “Show and Tell”? For this meeting I made myself the first presenter and discussed a Progress to Oracle data migration. Going forward we will be reaching out to our members to volunteer to present at future meetings. Our meeting was sponsored by OneNeck IT Solutions and they got us a really nice venue with an unbelievable meal! Thank you OneNeck! For our raffle, we had 6 copies of Jim’s new book, “Oracle Database Upgrade, Migration & Transformation Tips & Techniques”. Some of these copies were kindly given to us from McGraw Hill. Both presentations are available for download on the COUG Web Site.